Your parent can no longer live on their own, but what is the best fit for their care needs? The decision of where to you move your parent or how to care for them cannot be wholly based on economics, but the financial impact on a family needs to be accounted for. Your best option may not be the cheapest option. Families need to consider how they will cover these costs. The costs of an assisted living or memory care community can vary greatly depending on the services offered, location, room type, amenities included, and accommodations. A common question we are asked is: Does Medicare or Medicaid cover the costs of assisted living? Medicare. Medicare is most often used to cover the expense of home health care or for a skilled nursing facility. Medicare pays for only a limited amount of assisted living or long-term care services. Although there can be exceptions, most of the time Medicare will not cover “custodial care.” Custodial care is care that helps with daily activities such as bathing, dressing, walking, or eating. Medicaid. If your loved one has a limited income, Medicaid will pay some costs associated with assisted living in some states. Medicaid is a government program designed to pay for long-term care for people who can’t afford it on their own. It’s administered in cooperation between the federal and state governments. Each state has their own set of rules and regulations for Medicaid. To understand your state’s Medicare and Medicaid guidelines, contact the State Medical Assistance office at 1-800-MEDICARE or visit www.medicare.gov. Or visit the Medicare and Medicaid Services website at www.cms.hhs.gov. 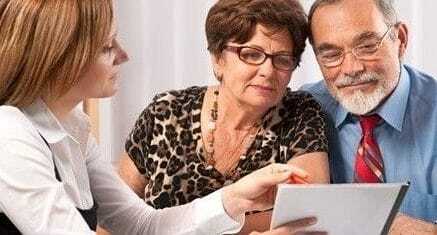 We also suggest that you speak with an elder law attorney to help successfully complete a Medicaid application. They can be a valuable resource to navigate the nuances of this application process. The Department of Veterans Affairs is committed to providing benefits and services for our aging veterans, including their changing healthcare needs as they age. But many veterans and their families are not getting the benefits they are eligible for because they are unaware of these available programs and how to file for these useful benefits. The VA Aid and Attendance Special Pension, also known as the A&A Pension, is for qualified veterans or their surviving spouses to receive tax-free monthly sums meant to help defray the costs of assisted living and memory care expenses. For more information and to see if you are eligible, contact a Veterans Service Officer at a regional VA office or call 1.800.827.1000. Private Pay. In most cases, residents and family private pay for assisted living. Selling their house and tapping into retirement savings and investments are used to pay for these costs. To learn more about options to pay for assisted living please visit the Aegis Living community near you and ask to speak with the Marketing Director or General Manager.